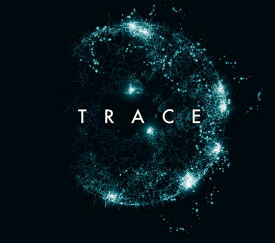 Every day millions of pirates are being tracked by companies working for the entertainment industries. This data is often used to warn or even sue alleged offenders, but a new startup is taking a different route. Instead of punishing pirates they treat them as fans, allowing artists to use DMCA notices as a marketing tool. For more than two decades online piracy has been a hot topic in the music industry. The problem has motivated people to sue downloaders or target them with DMCA takedown requests, which are sometimes bundled with settlement demands. Muzit is a new startup which also tracks millions of BitTorrent pirates. However, instead of punishing downloaders they take a more gentle approach. Muzit uses DMCA notices as a means to connect artists and fans. 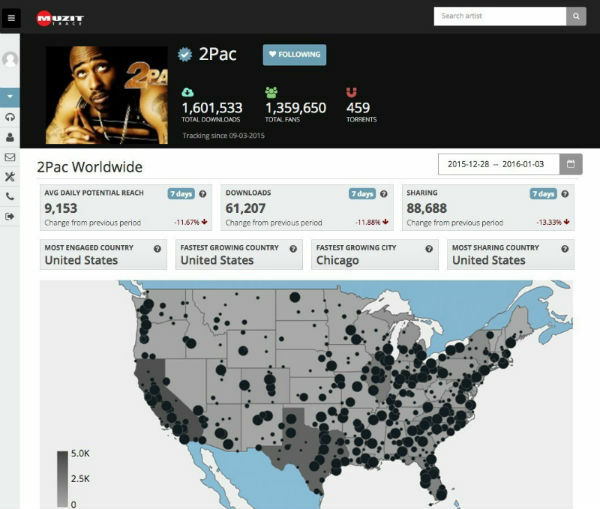 Muzit’s TRACE platform keeps track of where illegal downloads occur across the world and the company shares these insights with artists. They can then choose to alert the alleged pirates through DMCA notices and include a marketing message in these emails. “Muzit was created for copyright owners who want to reach out and build a positive relationship with their fans. As long as it’s friendly, artists can send any type of message they want,” Muzit CEO Tommy Funderburk tells TF. Funderburk is a music industry veteran with a keen interest in file-sharing. He used the same BitTorrent tracking technology in a previous startup called PayArtists where a similar system was used to demand settlement payments from alleged file-sharers. “At Muzit we have eliminated the word ‘pirate’ from our vocabulary. We choose to regard individuals who use P2P as fans and potential customers.‘Fans not Foes’ as we like to say,” Funderburk says. Muzit is currently working with several copyright holders including The Mavericks and the estates of James Brown and Isaac Hayes. Typical “offers” they send to downloaders include exclusive music downloads, merchandise and unique artist memorabilia. “Recently The Mavericks used Muzit TRACE to encourage people to sign up for their fan club by offering a free giveaway of an autographed guitar. In this campaign, they were able to reach out to around 200,000 new fans,” Funderburk tells TF. The Mavericks are happy with the results of their campaigns so far and see them as an ideal tool to reach an audience which they haven’t been able to connect with in the past. “We were blown away. We had no idea we had this whole other world of fans sharing our music on P2P. It works and it sure beats the hell out of an email sign up sheet at the door,” Raul Malo, leader of The Mavericks, says. Thus far Muzit’s database includes 8.6 million file-sharers but they will continue to expand. The company also makes it clear that artists can only connect to the people who have shared their work. The company certainly takes an interesting approach, but it’s also an odd way to use the DMCA notification system. DMCA notices are generally not intended to include all sorts of additional messages. While some downloaders may appreciate hearing from artists, others may see it as a form of spam. Still, that beats the settlement demands companies such as Rightscorp send out. c There are 59 comments. Add yours?